These shortcuts include layering, text, viewing and image handling. 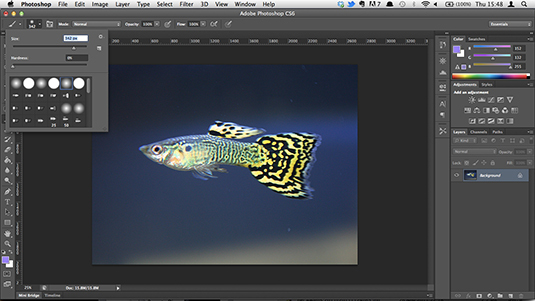 When working in Photoshop, simple tasks can become a hindrance to your workflow. So to help out, we’ve got a great selection of Photoshop shortcuts right here, all guaranteed to speed up your workflow once you get the hang of them. We’ve also got free Photoshop actions to create stunning effects and some brilliant Photoshop tutorials to help you put them into practise. Whether you want to change the size of your text, deselect a layer or merge a series of layers – we’ve got it covered! There are also some handy hints for brushes, saving and closing, and viewing options. So if you’re using an old version of CS or the latest Creative Cloud, these shortcuts will speed up your workflow. Manipulating and arranging layers is simple with these great shortcuts! Get started on your latest project in next to no time with this handy shortcut that instantly whips up a new layer and dialog box. Mastering the new layer shortcut is a doddle, so once your ready to drop in a layer behind it, be sure to use this shortcut. This command will fill an empty later with the current foreground or background colour. Add a new, empty layer to the top of your stack, select it and use the above command to flatten the layers in an image to sharpen the result. This adds a flattened version of the image to the new layer but leaves the layers intact too. This command will allow you merge all your existing layers in order to create one new layer. Beware! Once merged, they are extremely difficult to seperate. Once you’ve selected your layers, use this command to merge them into just one layer. To see them merged as a new layer, simply add in the Shift modifier. This is useful if you need to make adjustments later on. Use this command to create a new layer from an existing one. Sound complicated? Give it a go! Like creating a new layer via copy, this command will create a new layer with the selected image area in it, the only difference via cut is that it will remove the selected image portion from the original image. 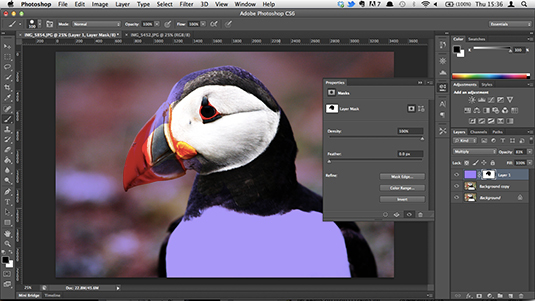 Here, you can move your preferred layer to the top of the stack of images you’re working with in Photoshop. This is plenty self-explanatory in that it does exactly the same as the command above but in the opposite direction. This will allow you to bring any selected image to the front. If you decide to change your mind, you can always select the image and send it to the back of the pile! Draw a selection, then use this command to take every layer into the clippig, rather than just the current layer selection. Adding, subtracting, inverting! Getting selections right has never been easier. This is a great command for any of you that accidentally click away from a section. Pressing these buttons will have that section reselected in no time. 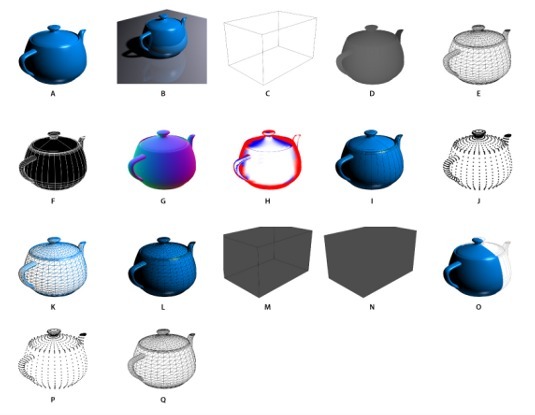 Select objects around an already pre-selected image. This way, you’ll be able to work around your main focus without losing it! A perfect command for those times when you need to get everything in sync. This will select the bottom layer in the layers panel. This will select the top layer in the layers panel. If you need to deselect a certain area sharpish, then hit these keys. If you don’t want to deselect an area, you can use this shortcut to ensure you’re clicking on what you want. If you need to get away from the image, use this shortcut to deselect anything that you’ve clicked on. When pasting a layer or selection into a Photoshop image and it’s bigger than the current image, it can be difficult to find the sizing handles. This command selects Transform and sizes the image inside the window so you can see the sizing handles. Want to move a selection easily? Simple press and hold the Spacebar and continue to do so until the selection is in the correct place. 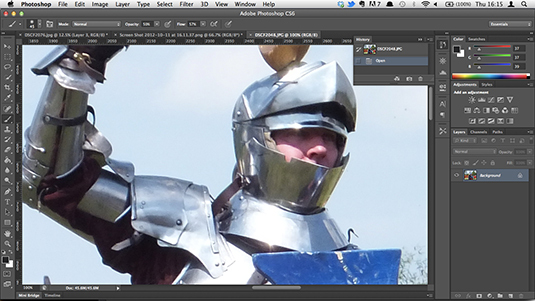 Selecting with Photoshop Channels makes removing a complex object from the background much easier than with other tools. And using this shortcut makes it even simpler. When working with a Photoshop brush, if you want to sample a colour from an image, instead of clicking the Eyedropper tool, simply hold the Alt or Option key to switch temporarily. Then let go to return to the Brush tool. Play with brush sizes and more with these great tips! Getting your brush size just right is one of the most important aspects of Photoshop. Do it with this command. Whether you want to fill the selection with the foreground colour or with a selected pattern, use this shortcut to get the job done quickly. Brush hardness is just as important, so get it right with this shortcut. Save time and distractions by using these simple commands to swiftly move through the various brushes on offer. If you don’t want to have go through the entire array of Brushes on offer, hit these commands to go back to the start or end. Simulate spraying painting with Photoshop’s airbrush tool using this helpful shortcut. You’ll save most things. So these should come in handy. Pretty self-explanatory but if you prefer not to drag your mouse onto a number of options, use this shortcut on your keyboard. As the name implies, this will close your document and then open up Adobe Bridge where you can select the next file you wish to work on. We love Clipping Masks. Does that make us weird? DOES IT?! OK. Fair enough. 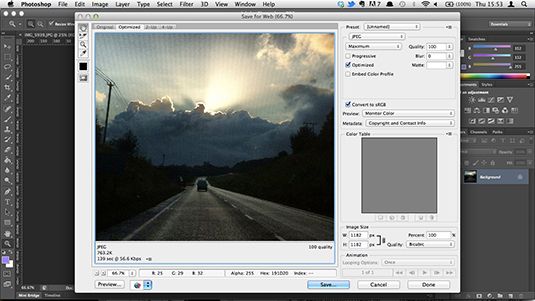 When editing your images, you’ll be using the levels box regularly. Save yourself some time with this Photoshop shortcut. This command opens the free transform tool for resizing, rotating, and skewing the image using a draggable outline. This will allow you to quickly edit the Curves on your image. This is a perfect Photoshop shortcut to edit the Colour Balance of your images. These two powerful Photoshop tools will aid you in the colour balance battle, and will decrease the amount of crossover. Convert your colour image to grayscale values, leaving the image in the same colour mode. After a quick fix for a photo? While they’re not reliable cure-alls, these tools are usually worth a go for automatically improving your images. The camera always lies, particularly where lens distortion is involved. Use the lens correction filter to reduce the effect of barrel distortion, pincushion distortion and vignetting. Wide angle lenses can bring their own particular distortions, and Photoshop has a filter for this. The Adaptive Wide Angle filter can quickly straighten lines that appear curved in panoramas, or photos taken with fish-eye and wide angle lenses. With older versions of Photoshop you have to run Adobe Camera Raw as a separate program, but in Photoshop CC it’s available as a filter, enabling you to non-destructively apply sophisticated adjustments to any image type. Scale your image to your preferred state with this super quick shortcut. The latest content-aware tool in Photoshop CC enables you to move objects around in a photograph, and it’ll intelligently fill in the gaps where they used to be. 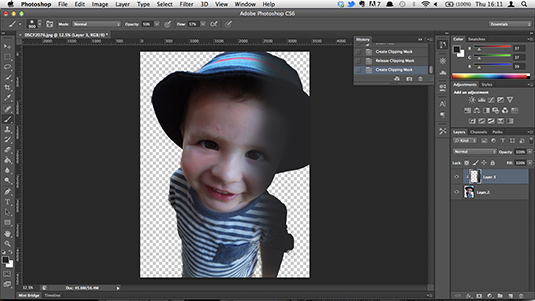 A great way to keep shadows and shading where they belong, the clipping mask tool is a basic but useful tool. Photoshop has a variety of blending modes to create cool effects. Use this command to cycle through each. Speed up the process of converting colour photos to black and white with this shortcut, which opens the black and white adjustment dialog box. Set up your image sizes with ease with this quick and simple shortcut. Next page: more Photoshop shortcuts. If you’re working with 3D assets, use this option to view the polygons that make up your 3D models. Once you’re happy with your 3D model, use this option to create a final render and create the highest quality version for output to web, print, or animation. Just how sharp is that pic of a knight? Only one way to tell: COMMAND/OPTION/ZERO, baby! Viewing an image in Photoshop in actual pixels gives you the chance to see each pixel individually – ensuring your work is perfect. A great way to view your work in all its glory on screen. If you want to get down to the nitty gritty of your image, zoom right in with this shortcut command. Get an insight into how your work will look from afar with this zoom out command. Text options are a pain to find in Photoshop, because everyone uses these! 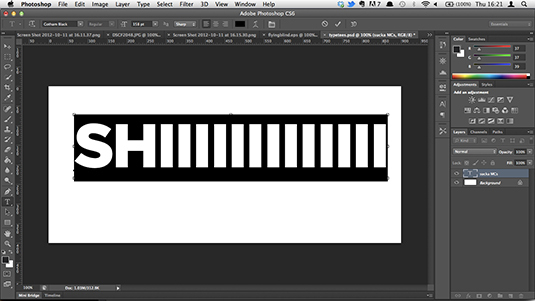 Experiment with text in Photoshop by using this command to change its size by 2pts. Works the same as the command above but it’s by 10pts this time. 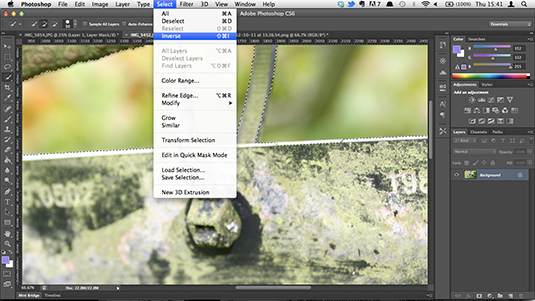 Adjust the space between your text in Photoshop with this handy command. A great way to experiment with the alignment of your text, this shortcut will enable you to do it quickly. Speed up selecting elements on type with this easy-to-remember shortcut.